Specially designed for use with swing gate operators, the 455D 230V control board is a versatile control solution. 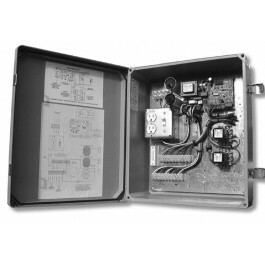 It works with most FAAC swing gate openers and comes pre-wired in a strong 14" x 16" enclosure. Specially designed for use with swing gate operators, the 455D control board is a versatile control solution. 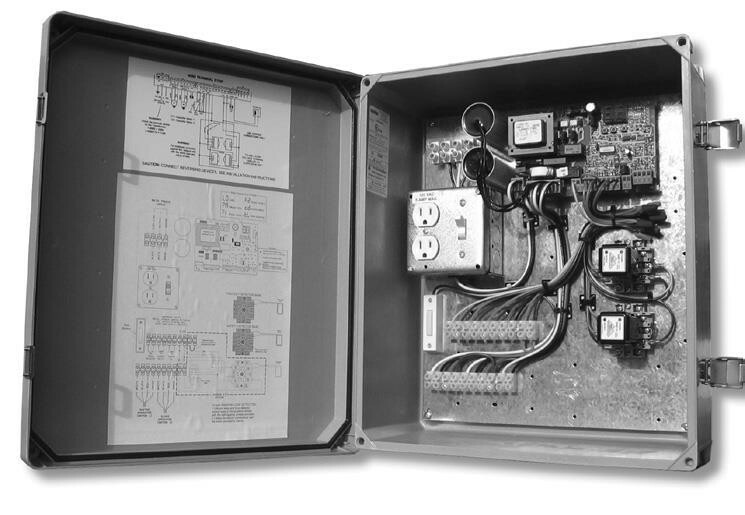 It works with most FAAC swing gate openers and comes pre-wired in a strong 14" x 16" enclosure. This 230V model works with all 230V FAAC swing gate openers and can be used for single gate leafs or in bi-parting systems where two operators have been installed. Note: Some basic single kits include a 455D control board. Check to see whether or not you need a control panel. Replacement control boards are also available: 790926. This product is a direct replacement for the FAAC 455D220F+.